does it come in silver?? 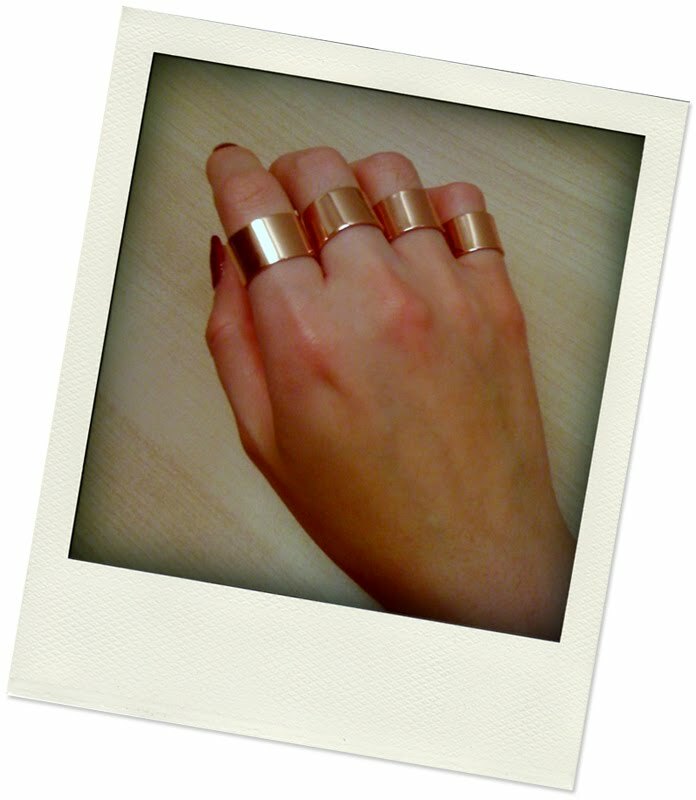 Rose gold brass knuckles, for the fashionable lady. Hey, just wondering how adjustable are they? All I think about when looking at that is thinking about how much it would hurt someone's face if you got into a bar brawl. Which...leads to awesome-ness. @Anna DK - they don't bend easily. It takes some effort to adjust the metal, but that is a good thing since you don't want them to be flimsy. They come sort of pre-sized. Like there are some that are open a bit more than others. I only needed to adjust a tiny bit. Argh, I am kicking myself for not buying the yellow gold set from 2 seasons ago! I don't really wear rose gold... I think I need to stop by the Margiela store and see what's up. Are these all connected together? If yes, then that is awesome. Rose gold has really become one of my favourites atm. i love this... my wedding band is actually a lot like this... it's kind of strange for a woman to have a wide band like this, but i really like it. love them! Where did you buy them?